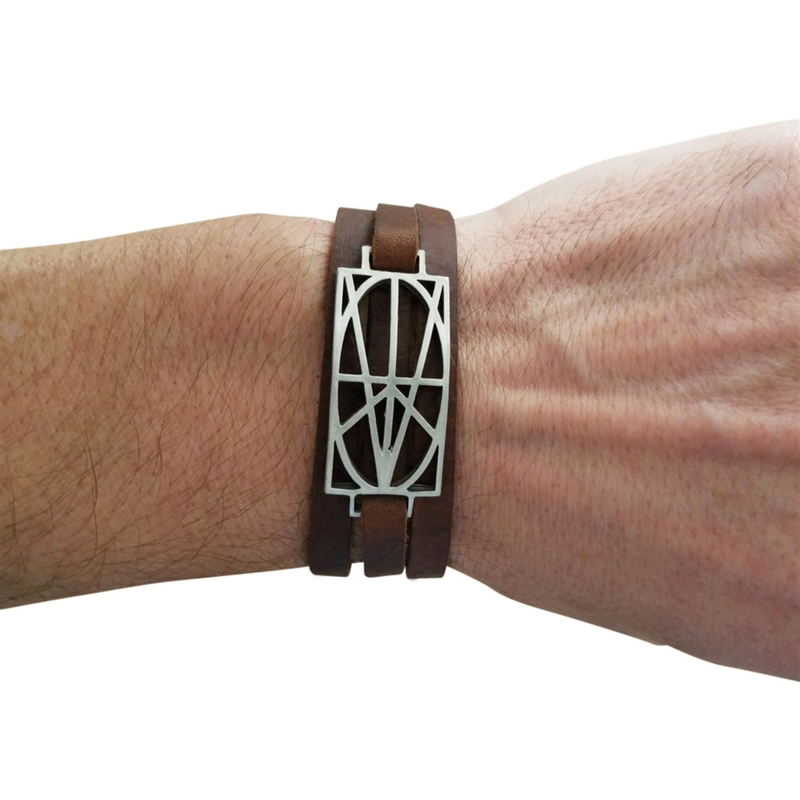 Zymbol on bracelet measures 1-3/8" x 5/8"
This leather wrap gives the appearance of multiple bracelets while you only have to put on one piece of great quality jewelry. It looks amazing with an everyday t-shirt and jean style but can also compliment a more sophisticated look. Wrap bracelet around wrist 3 times then slide through both D rings and then back through on D ring (see image). If there is access leather cut off at a 45 degree angle.